The scout scope is a riflescope mounted forward of the receiver on the barrel. While this type of mount has been used for many years, in modern use the arrangement is called a scout scope. The obvious feature of the Scout Rifle is a forward mounted scope. This profile is similar to Colonel Jeff Cooper’s Scout Rifle concept. The Springfield M1A is hell on steel plates well past 100 yards. There is nothing wrong with the original Scout concept and a lot that is right. The relatively light, compact, and accurate bolt action .308 is a neat trick that solves many problems. My personal ‘scout rifle’ is a Springfield M1A Scout Squad. This 18-inch barrel rifle is a first-class self-loader with legendary reliability. The rifle handles well and offers real advantages in personal defense and hunting scenarios. The Scout Squad is supplied with a mount on the barrel that accepts a riflescope. The scope must be a long eye relief type. For the neophytes, eye relief is a kind of optical stand off distance. The Leatherwood scope I use features a 13-inch eye relief. There are a number of advantages. With older Mauser-type rifles, the long eye relief allows the mounting of a scope without drilling and tapping the receiver. Low and over the bore is the best spot for mounting a riflescope for hunting, and I own several with standard receiver mounted optics. A Scout Scope works well in most firing positions. Some rifles simply beg for the scout scope. As an example, older lever action rifles, that will not accommodate a low and over the receiver scope, require a side mount. However, I have never found this setup satisfactory, or necessarily a scout-type scope. On the other hand, the M1A is a rifle that makes the scout scope attractive. Keep in mind, the greater the eye relief the narrower the ‘field of view’ must be. A wide field of view is an advantage in hunting medium game. As a result, scout scopes, in general, offer low magnification. Two power (2x) is common. Limited power scopes are the rule. If I set the Leatherwood 2×7 power scope to the highest setting, the field of view is so limited it isn’t very useful for practical use, although off of the bench it is interesting. The advantage is that the long eye relief scope may be used with both eyes open at moderate range. When all things are considered, the Scout Scope works best when the rifle is intended for predator work, taking game at moderate range, personal defense, and when there is no practical means of mounting a low, over-the-bore riflescope. The forward mount moves the scope affecting the usual balance point. I find carrying and handling the rifle with a scout scope is easier. The forward scope allows the shooter to shoot with both eyes open. Peripheral vision is an advantage in personal defense and hunting. It is much easier to see what is around you. This is a neat setup that works well in practice. The scout scope allows very fast and accurate shooting. The Leatherwood Hi Lux mounted on my M1A isn’t the most expensive sight, but it works well. 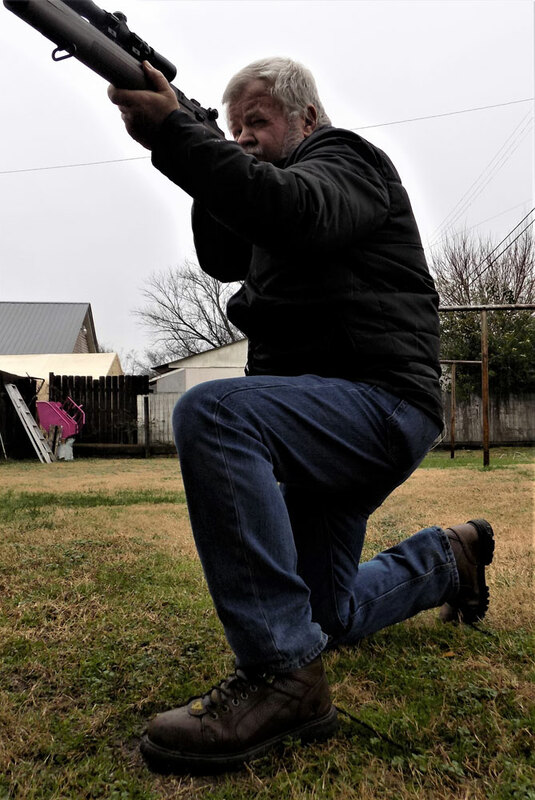 Recently, I took the rifle to the range with several hundred rounds of Winchester 7.62×51 mm 147-grain FMJ loads and worked the rifle out from 50 to 100 yards. The scope allows rapid target engagement. The field of view when set at 2x is ideal. The advantage of binocular vision without distortion is excellent. I burned up several boxes of Winchester ammunition without a single failure to feed, chamber, fire, or eject. The level of accuracy demonstrated by both rifle and ammunition were excellent. It seems that the Scout Scope makes recovering from recoil easier and gaining the sight picture back isn’t difficult. Cranking magnification up to 5x makes the scope much less useful firing off hand. Firing from a benchrest is a different tale. Firing from a solid, benchrest-firing position with the Leatherwood scope set at 7x takes some acclimation and 5x is easier. Firing for accuracy, I used the Winchester 168-grain MATCH—a proven loading that has give excellent results in any number of rifles. I also added the Winchester USA loading. The Winchester 147-grain FMJ loading averaged 2.1 MOA at 100 yards. The Winchester MATCH load averaged 1.5 MOA with some groups slightly smaller and some larger. 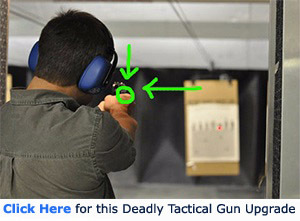 This type of shooting requires control and a practiced trigger press. I like the M1A scout scope combination. It is unlikely I will be taking a shot over 150 yards when hunting, and the Springfield combination will deliver. In the more likely scenario of a shot at closer range, the rifle offers real speed. It suits my needs. The individual should make a solid appraisal before choosing his own hardware. Have you shot a scout rifle? What are the advantages or disadvantages as you see it? Share your answers in the comment section.